We are a little over a month away from North Texas Giving Day and ramping up for another successful year. We can’t do what we do without you! 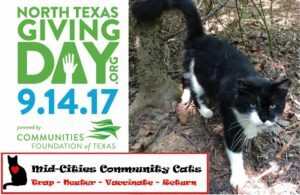 This year there is an option to schedule a donation early starting on September 7th by going to the M-CCC page on the North Texas Giving Day website.